BCC New England Masters-FIDE Rated, Round 5. 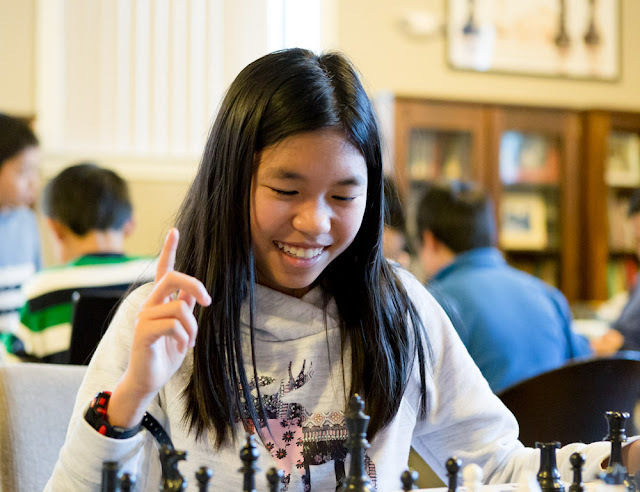 Carissa Yip photo: Tony Cortizas, Jr.
is currently the top 12 year old girl player in the World! Carissa, with her 2164 FIDE rating, barely makes it at #99, but she's the only one on the list with a 2003 birth year (there are only two born in 2002), which easily makes her the top rated 12-year old girl in the world by something close to nine months or more, since her birthday is way out in September!